Talking to Brendan B. Brown about his life and music is like talking to a dozen guys at once. 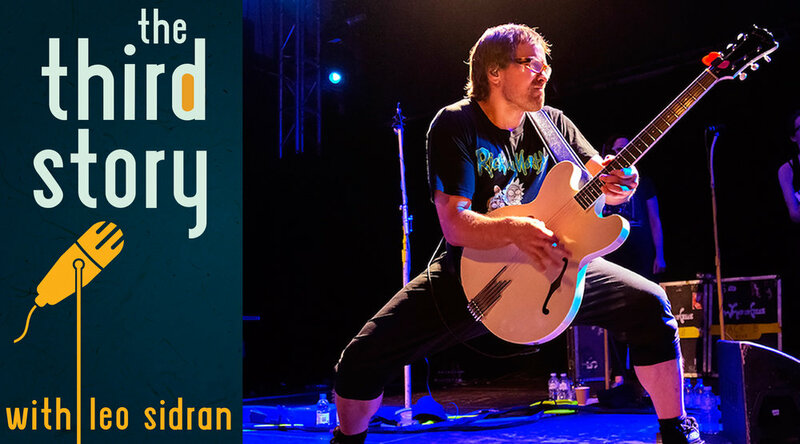 There’s the singer-songwriter - the guy who wrote the hit song “Teenage Dirtbag” and created the band Wheatus nearly 2 decades ago, and who has been riding that wave ever since. This is the guy who writes brilliant, provocative, genre bending pop songs, and who tours stadiums in the UK and Australia. There’s the kid who grew up in a “lobster town in decline” on long island in the 80s and was sent to an all boys high school an hour away because his parents panicked after a satanic murder took place in the woods behind his house. This is the guy who ultimately ended up moving into the extra house on his parents property, building a work-live space and staying there well into adulthood. There’s the gear geek - the one who wants to know about each microphone, guitar amp, drum head and compressor used on all the records he loves. This is the guy who remembers every piece of equipment he ever bought and can explain why he cares deeply for the kind of equipment that most people would find little value in. There’s the punk from the east village - the guy who spent the 90s at the Mercury Lounge and the Luna Lounge, attacking New York city with a raw, DIY “anti” attitude that he continues to carry with him to this day. At the core, Brendan is a natural, self taught, self invented, homebody who seems to be firing on all cylinders at all times. He is intensely curious and passionate about what he does, what he thinks, what he thinks he does, and what he does about what he thinks. This week’s playlist is by far the longest and most extensive we’ve ever had. I recently met with Brendan in his studio on Long Island - the same one where he has recorded almost all of his albums, and which happens to be on the property where he grew up. Here he talks about the power and responsibility of writing a hit song, what it’s like to have your dreams come true, and how to recover when they don't. The episode features an introductory conversation with my old friend and musical collaborator Joy Dragland. There’s very extensive bonus content on the Patreon page where Brendan lays out his recording philosophy and dives deep on the gear he loves to use.